How many times do you celebrate New Year? Probably some of our readers recently celebrated Chinese New Year as well. 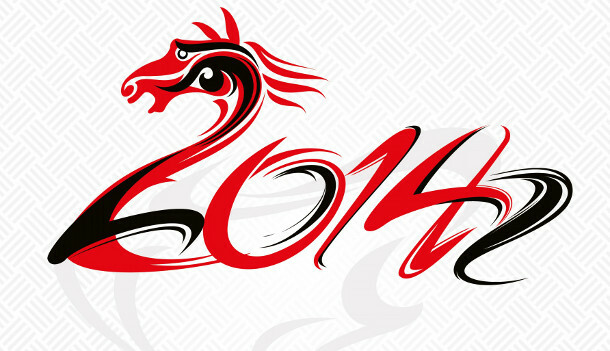 2014 is the Year of the Horse in the Chinese zodiac. The horse is regarded as an intelligent, elegant, energetic and reliable animal, and it signifies a successful and strong year ahead. 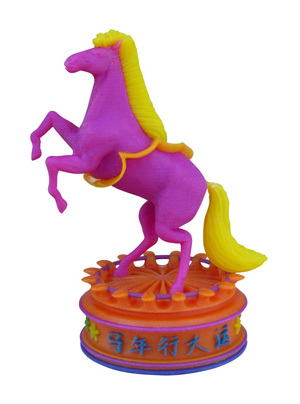 Stratasys team decided to create a symbol of the New Year and they printed a vibrantly colored model of a horse. This amazing horse was created with their recently announced and launched Objet500 Connex3 Color Multi-material 3D Printer. Object500 model has very interesting ability – it can combine different colors, multiple materials and advanced material properties in a single print run. The 3d Printed model of the horse was designed by Arie Sztajnworc. It contains a combination of rigid opaque VeroYellow (mane and tail), VeroMagenta (body), and VeroCyan. The model base combines seven different colors. At the end we just want to mention one more time that the entire model was made in a single print run thanks to the multi-color options of Objet500 Connex3.